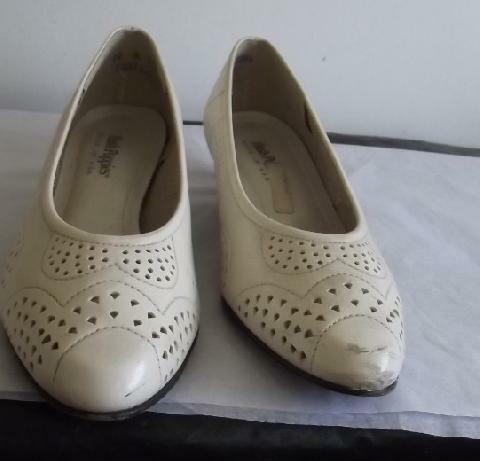 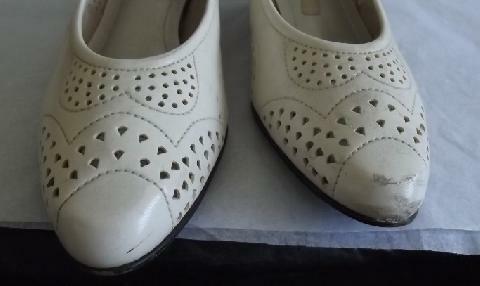 Vintage Hush Puppies Women's Cream Leather Shoes Size 10M Leather hush puppy shoes with perforated dots throughout. 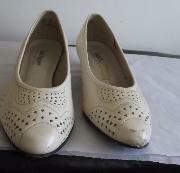 Pale cream in color .with a small heel 1 1/4" high . 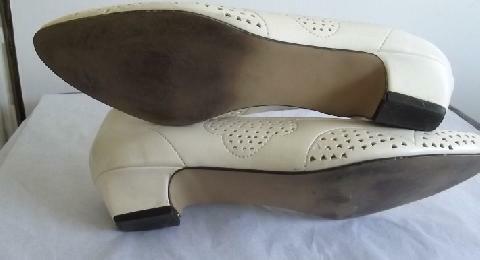 Some scuff marks on the toes 1970/80's used in good condition..
PRICE: $19.99 plus $1.50 special handling charge.